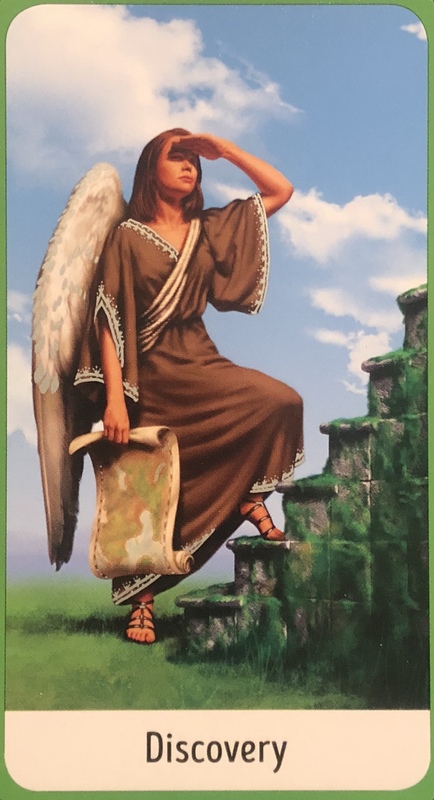 The Angel Of Discovery Message: “Regardless of age of level of knowledge making discoveries about yourself and the world can awaken your sense of awe and wonder at the universe. The Angel Of Discovery encourages you to keep your mind open to fresh information and experiences at all times. We are constantly receiving downloads of divine wisdom from the Universe. We are being upgraded, filled with light, awakened. It’s a slow and steady process. We need to shift and change; we need to rise above the old and dangerously outmoded social conditioning we have been programmed with for so long. And in order to do this, we need to discover ourselves, our deep connection to the planet, all of her creatures and to each other. We are inundated with distractions; from the media, from technology, and from the over scheduling business of our every day lives. It can feel unending. It’s easy to start to feel disconnected from what is important; the planet, nature, ourselves and our own inner wisdom. We give away our energy worrying about the news, worrying about our own self-worth. Feeling isolated and alone, we turn to technology to keep us company in a hectic existence. Just a few minutes of reprieve, a little break from reality… or maybe an hour or two. But how else could we use this time? Could we meditate? Get outside? Relax in silent contemplation? Listen to or play music? It’s time to rediscover our connection to ourselves and our passions. It is time to discover something totally new. A shift in perspective; a new way of seeing yourself, of seeing the world. Of Being. It’s time to be a warrior, a guardian. Not a sheeple. Not a minion. A sovereign being. One filled with strength and courage, harnessing our joy and passion and using it as fuel for change. We need to become the 100 awakened monkeys, changing the collective consciousness one by one by one.